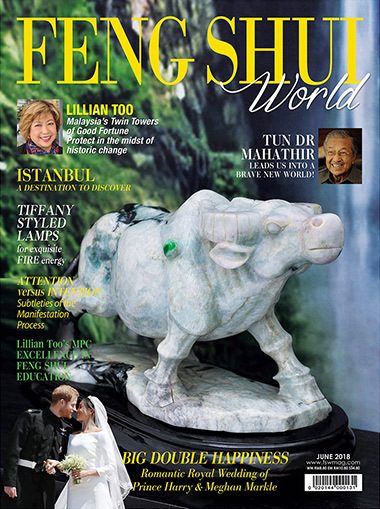 In line with the evolution and rapid growth of digital media and online platforms, it is with some sadness but also with excited anticipation that we are announcing the discontinuation of Feng Shui World as a print magazine after an amazing 15-year run. Our current June 2018 issue will thus be our last. We would like to express our sincere gratitude for your most wonderful support all these years, and we will continue offering exciting and current content, stories and articles on our online magazine and portal www.WOFS.com. Do visit us here to subscribe to our newsletter to continue being kept updated on all our stories, events, news, products and more. All your favourite offerings – Specials, Features, Life & Living, Aunt Agga, Monthly Astrology, Flying Star, Spiritual Days Calendar and Haircut Planners - will all still be made available – but via our website www.wofs.com. We look forward to expanding our feng shui coverage - and without the need to be tied down to a monthly print magazine format, this will give us more time and resources to offer up even more, and more regularly. So we don’t want you to think of this as an ending; rather, it is the start of an exciting new era. We thank you again and look forward to continuing to be your source for everything to do with living auspiciously and attracting abundance into your life! See you online at www.wofs.com!